Even for a company that’s been a prime player in the past three decades of the digital revolution, Cisco Systems have been riding a nice wave the past few years. As the unquestioned leader in networking hardware, Cisco has seen share prices nearly double over the past five years as they account for almost half of the critical equipment running networked servers. Cisco’s commanding presence also means IT pros with certified Cisco network admin skills can expect to earn more than their non-Cisco proficient co-workers. That’s as good a reason as any to get in-depth Cisco training with the Complete Cisco Network Certification Training Bundle. Right now, the full package is available at a bargain price — only $59 from TNW Deals. 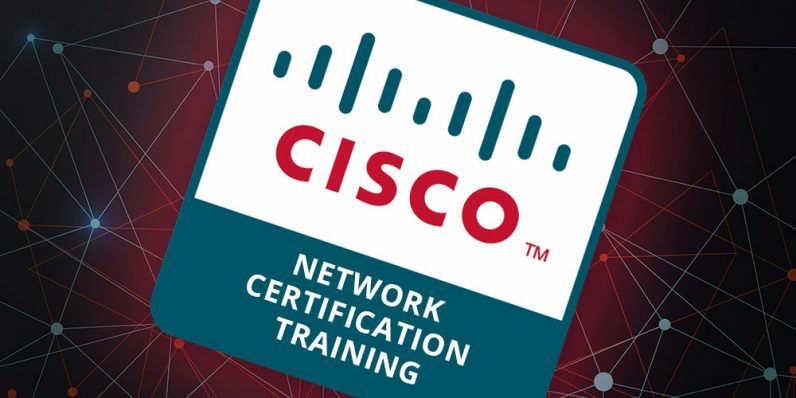 This training collects 9 courses that offer a full overview of a Cisco-powered network environment and what it takes to run it. The instruction covers installation of Cisco components, planning and running a switched network, securing those systems, as well as troubleshooting all aspects of a Cisco network. Each course is also geared to helping you pass a Cisco-approved certification exam, which hiring managers know as elite-level proof of Cisco mastery. Whether you’re working in a company using Cisco technology or just want to know how those systems run, this over $800 package of learning is on sale now for just $59 while this deal lasts.